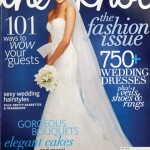 Tweet On the Fashion Issue of The Knot Magazine, you’ll find on page 16 and 60 a photo of one of our brides. This from Kit and Terry’s wedding at the renowned Four Seasons in Westlake Village. See the gallery on Style Me Pretty’s The Little Black Book. 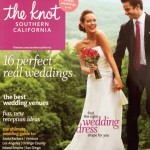 Tweet So wonderful to see our photo in the latest issue of The Knot Spring/Summer issue. We’re on page 52. An image from Eechin and Joe’s wedding at the Athenaeum, Pasadena. 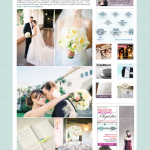 This wedding was also featured on Style Me Pretty. See it here. Tweet So nice to see that hard work does pay off when you see Katy Carrier and Erica Espana’s work on Style Me Pretty. They made this gorgeous wedding even more so. They certainly kept me busy because there was just so much to photograph! And that’s a good thing.